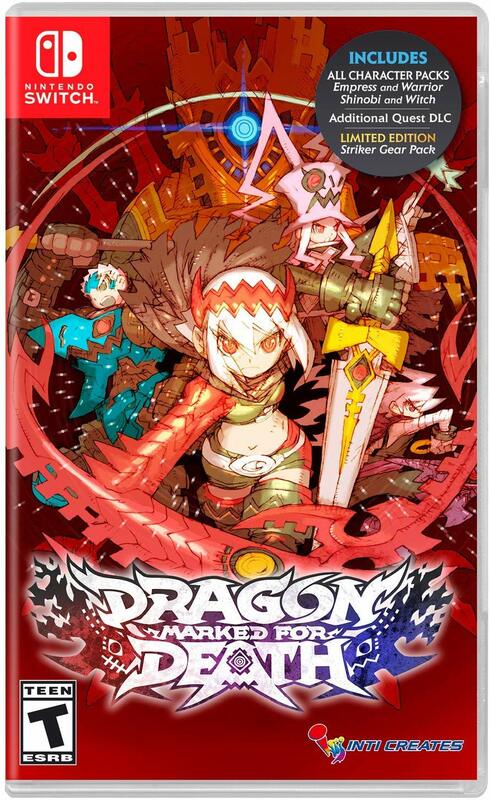 Dragon Marked for Death is available digitally in two sets, each of which contains the base game’s content for two of the four playable Dragonblood Clan characters for $14.99 each. Rather than release the game with all four characters in one for a $29.99 price point, we wanted to make the game more financially accessible to people. No matter which set you get, you will still be able to experience everything the game has to offer as the characters you have available to you. The only difference is which characters you will be able to play as right off the bat. Purchase Dragon Marked for Death: Frontline Fighters to play through the game as the Empress and Warrior. The Empress is a well-balanced DPS character who bears the power of the Astral Dragon in her arm. She utilizes powerful sword attacks at close range and fiery dragon breath attacks at mid to long range to make short work of her foes. The Warrior is a tank type character who bears the power of the Astral Dragon’s scales in his torso. He can deploy an impregnable shield that protects and heals his allies, and can deliver powerful attacks with his two-handed weapons. 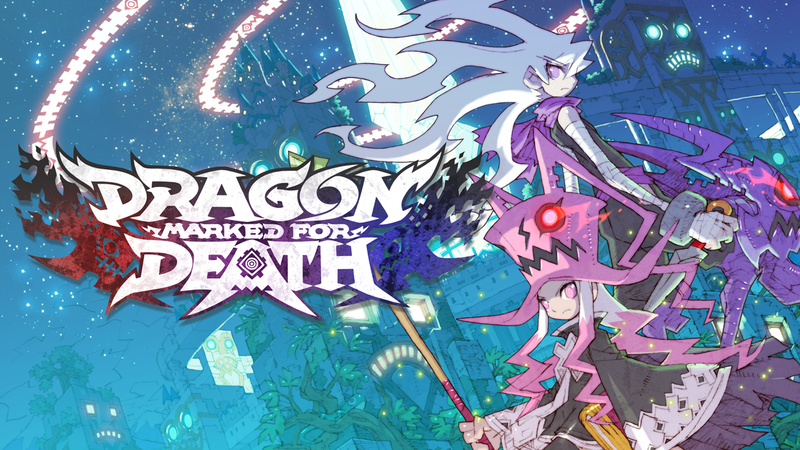 Purchase Dragon Marked for Death: Advanced Attackers to play through the game as the Shinobi and Witch. The Shinobi is a quick and nimble DPS character who bears the power of the Astral Dragon in his legs. Armed with deadly kunai and shuriken, he excels at generating/keeping aggro, and he is well equipped at avoiding damage with his unparalleled speed and by utilizing tricky movement abilities such as the wall kick, glide, and double-jump. The Witch is a spell-caster that bears the extraordinary depth of the Astral Dragon’s knowledge. She can damage her enemies with powerful offensive spells and heal her allies with restorative magic. No matter which way you go, you are getting the entire Dragon Marked for Death experience with the characters you chose! Once you purchase one of these sets, if you decide that you want the full group of four characters, simply purchase the other two characters via the in-game DLC purchasing system for the same $14.99 price point. This way, whether you have two characters or four, everyone has the same general “Dragon Marked for Death” icon on their home screen. Gotta keep those home screens tidy, ya know! The Striker Gear is a pack of four DLC weapons, one for each character, that are only available by pre-purchasing the game on the Nintendo Switch eShop through January 30th, 2019 or by purchasing the physical version of the game. The game is currently available for pre-purchase on the eShop in North America, and will be available for pre-purchase in Europe on January 17th. The Dragonblood Village will consist of a single quest, whereas the Dragonblood Bandit storyline will consist of a series of quests that tells a whole new story! 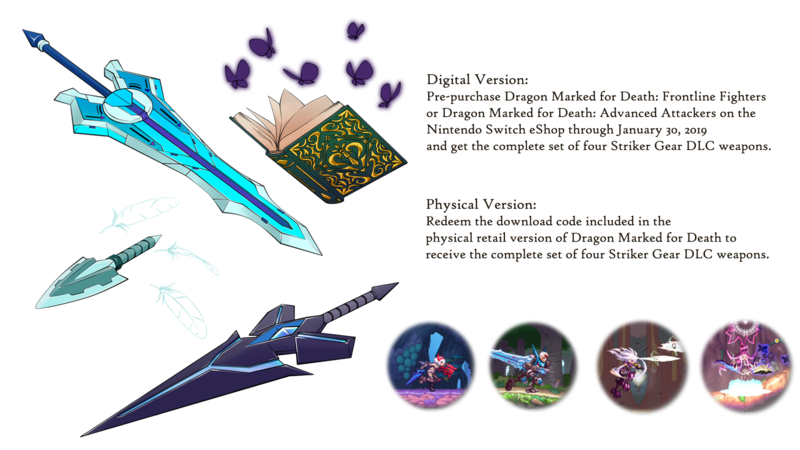 We have once again partnered with Nighthawk Interactive to bring all of our amazing fans in the North America and Europe regions all full-scale retail release of a physical version of Dragon Marked for Death. The physical version will be available at retail providers for $49.99, and is an all-in-one pack for the game. Release Date is TBD, but Nighthawk Interactive is working to get the game in retail stores as soon as they can. 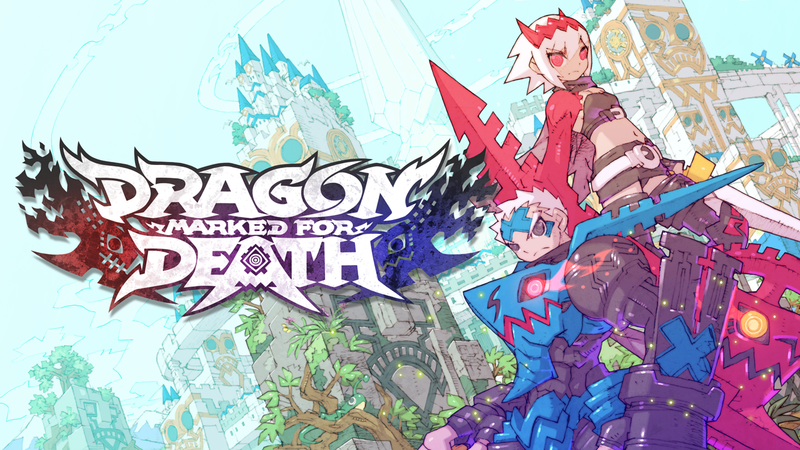 Dragon Marked for Death is the most content-packed game we have created in our 22+ year history, and we are beyond stoked for you folks to get your hands on it! This fires of this project has been kindling for 10+ years, and with everything from dozens of quests to tackle, four unique characters with completely different playstyles, the biggest, baddest sprites our pixelmancers have ever made, a fully-orchestrated soundtrack, and a lot more, this is a truly special release for us.